Mise-en-scène of the ephemeral Berndnaut Smilde returns to the digital pages of Installation Magazine, discussing his feature in the September 2013 issue of Harper’s Bazaar U.S. The new body of work ICONOCLOUDS juxtaposes the Dutch artist’s signature manufactured cloudscapes with fashion luminaries Karl Lagerfeld, Dolce & Gabbana, Donatella Versace and Alber Elbaz. 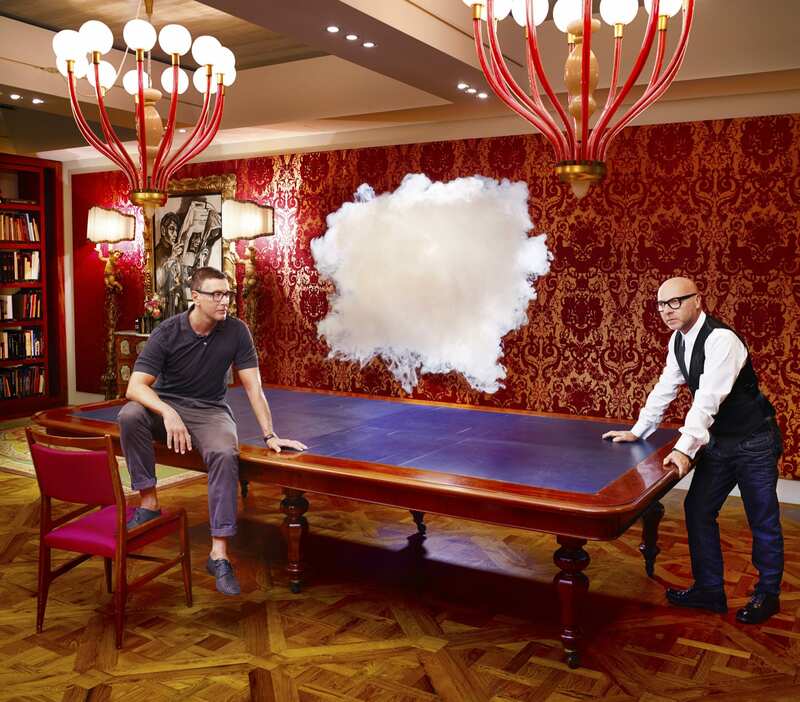 Installation Magazine: What was the collaborative process between you and Harper’s Bazaar U.S. to bring ICONOCLOUDS to life? Berndnaut Smilde: Harper’s Bazaar U.S. reached out to me asking if I would be interested in a collaboration for the September issue involving some of the greatest designers. I had a chat with Laura Brown – executive editor of the magazine and we discussed previous art projects they worked on with Liu Bolin. Initially I wasn’t sure on how to combine my work with fashion but I was interested in a project where we all had to step outside our worlds. I was curious to experiment how it would be to bring in people into the Nimbus work, why not do it with the most iconic designers? The subjects of the ICONOCLOUDS series include Karl Lagerfeld, Dolce & Gabbana, Donatella Versace and Alber Elbaz who are deities in the world of couture design. Did you create a specific cloud formation unique to each designer? Every space works different for the clouds and for that reason I started hours ahead of the team to get the process going the way I had pictured it. For me the architecture functions as a plinth for the work and therefore it is important to have the right proportion in relation to the space and position in the frame. I can control the shape in some way but eventually it is the conditions of the space that form and shape the cloud. To achieve the optimal effect, you need to be able to control the environment you’re working in. How were the locations for the shoot determined? It wasn’t really easy to find suitable locations from a distance. We would be shooting in Milan and Paris. We talked about what the locations would require (specifications such as size, ventilation possibilities, bringing in water) and what they ideally would look like. Then the producers in those cities would find possible locations and we started to select. I am really happy they arranged the Pallazo Litta in Milan as it has beautiful architectural elements and bright colours but also that they could get the Grand Palais for Karl Lagerfeld. There were months of preparation but eventually we shot in three days, that is really the big difference in the fashion industry: There’s no time. What environment were you trying to create between Nimbus and the designers? I didn’t want the clouds to expand too much, but keep human proportions as I wanted to treat the project as a portrait where I tried to implement another personality next to the designers. I wanted them to have a personal relation to the work. What was the designer’s reaction to your clouds? Alber Elbaz was really interacted on it, we tried all kinds of positions even had him partly disappearing into the cloud. For the total project I wanted the atmosphere and the architecture to represent a grandeur status which fits the designers and the September issue of Harpers Bazaar U.S. In what ways does fashion or design influence your own practice? Do you feel that you share a common thread with any of the featured designers? 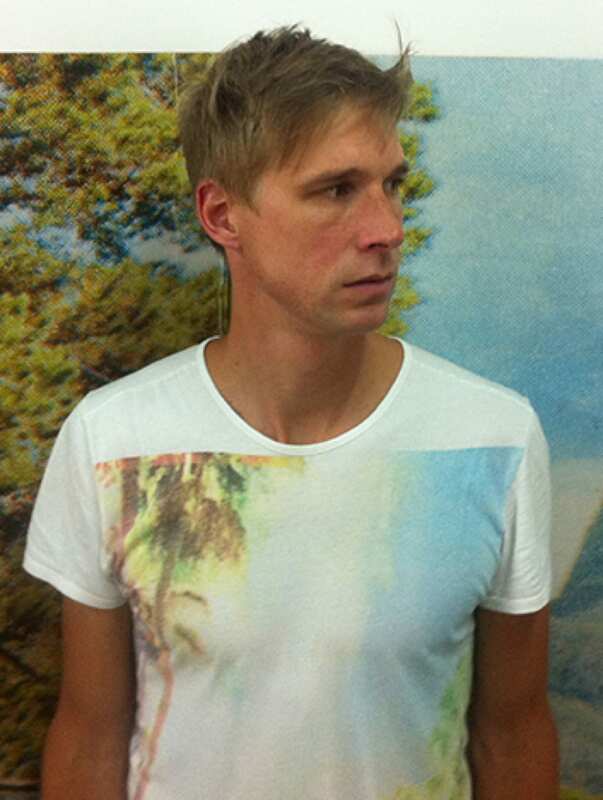 I’m not so much influenced by fashion as it is another world. I am also not that interested in brands and the pace is very different. But I think the cloud works and the designers are more connected in an iconic way: we both embody an idea, an archetype where people project ideas on. Berndnaut Smilde in collaboration with Simon Proctor, ICONOCLOUDS, Digital c-type print, Edition of 50+4 AP, 2013 © of the artist and Ronchini Gallery. 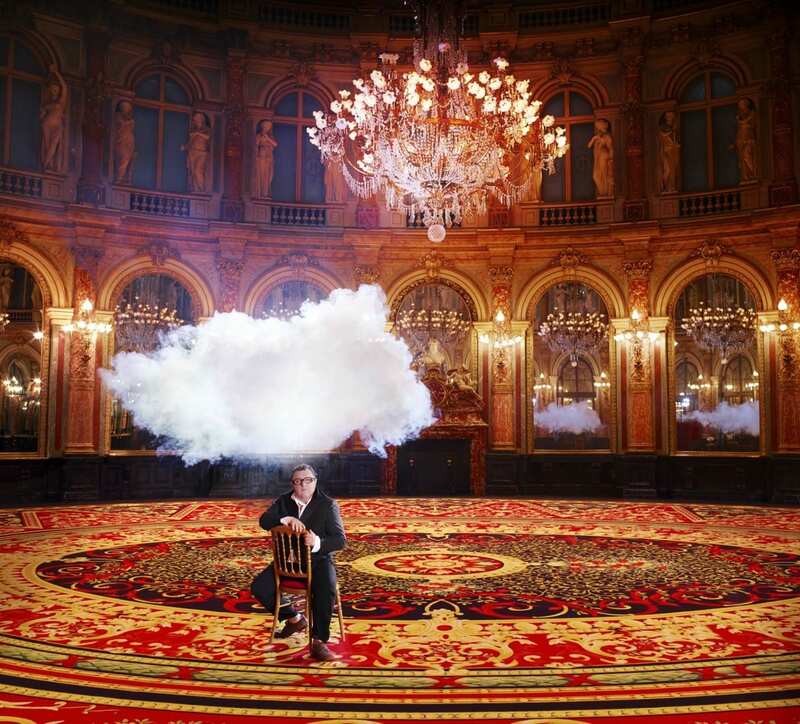  Archived in Uncategorized and tagged Alber Elbaz, Berndnaut Smilde, Dolce & Gabbana, Donatella Versace, Harper's Bazaar, Karl Lagerfeld, Nimbus, Photography, September, Site-Specific. Bookmark the permalink.